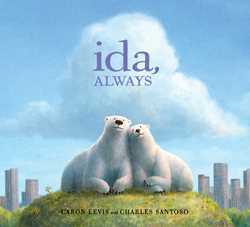 Adventures In Storytime (and Beyond): Review of "Ida, Always"
Ida, Always by Caron Levis and Charles Santoso. February 23, 2016. Antheneum Books for Young Readers. Ages 4-8. Gus and Ida are polar bears living in a zoo in a park in the center of a large city. They are best friends and do everything together, until one day when Ida doesn't come out her cave at all. The keeper explains to Gus that Ida is sick and the doctors can't do anything else to make her better. She tells Gus that Ida will be tired and sleep a lot, and eventually her body will stop working and she will die. At first Gus is very sad and upset, but he learns to enjoy what time he has left with his friend. Ida has good days and bad; sometimes they talk and laugh together, sometimes Gus just keeps Ida company, and sometimes they each need time alone. He is very sad when Ida dies, but he knows she will live on in his memories. This is a beautiful, though bittersweet, story of friendship and loss. I love how the text is simple, gentle, and age-appropriate, but at the same time is very honest and straightforward, with no euphemisms or sugar-coating. I like how it shows that Ida has ups and downs, good days and bad, over the course of her final days, and that the friends are still able to enjoy each other's company and laugh together sometimes, even though Ida is dying. I think it does a great job of portraying the decline and ultimate death of a loved one without being frightening. It's important for kids to know that it's okay to feel however they feel in a situation like this, whether it's angry, sad, confused, or lonely, but that it's also okay to feel happy sometimes, too, and I'm glad this story shows both bears feeling a range of emotions. I think this would be a wonderful book to help children deal with the terminal illness of of a friend, relative, or pet. The illustrations in this book are beautiful, and can tell the story on their own. The beauty and softness of the pictures help offset the almost blunt honesty of the text, and the abundant use of the sky helps give the story a more uplifting feel as well. If this doesn't win a Caldecott medal, I will be very disappointed. This is sure to become a classic, and is probably one of the best books I've seen for helping young children deal with the illness and loss of a loved one. This story is based on real polar bears named Gus and Ida that lived in the Central Park Zoo. Gus captured national interest as being the first zoo animal to be treated with Prozac for his depression and anxiety (along with a greatly enriched habitat to alleviate his boredom). Ida was later brought to the zoo to be his partner. The real Ida died of liver failure in 2011 and Gus was euthanized in 2013 after difficulty eating led to the discovery of an inoperable tumor. This is not the first time Gus has been featured in a book. His story inspired the satirical book What's Worrying Gus? : The True Story of a Big City Bear, and two other children's books, Gus the Bear, the Flying Cat, and the Lovesick Moose: Twenty Real Life Animal Stories and Gus: The Feeling Better Polar Bear. Caron Levis has also written a book for children to help them understand, express, and deal with their feelings of sadness, called Stuck With The Blooz. Charles Santoso has illustrated a number of other children's books, including Spy Guy: The Not-So-Secret Agent, I Don't Like Koala, and Peanut Butter and Jelly Brains. Thank you so much for sharing the background to this story. The illustrations are breathtaking. Hopping by from the Kid Lit Blog Hop. Thanks for stopping by! 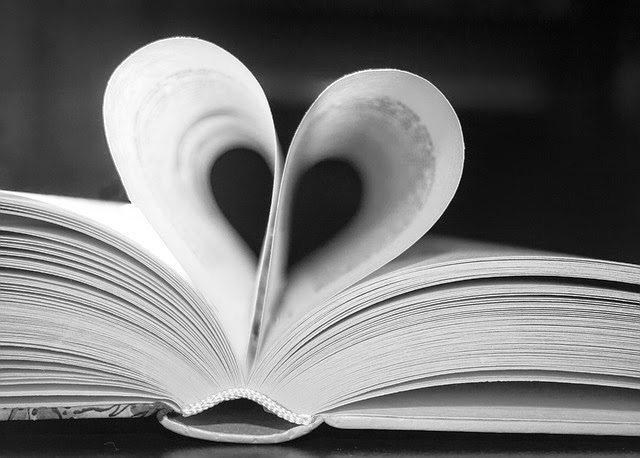 I often find the backstory of books and authors interesting. I just received this book to review. I am excited to read it, because my Kiddo was growing up when Gus and Ida were at the zoo and we often visited. Thanks for your review and the background information you included. Hello. I'm stopping by from the Kid Lit Blog Hop. Wow! This is one powerful book. I got tears in my eyes just from your review and description along with the illustrations you share. I can see how this should be an award winner. It seems like it would be perfect for children (and even teens and adults) who have friends or family dealing with diseases like cancer. Thank you for sharing this book on the hop.